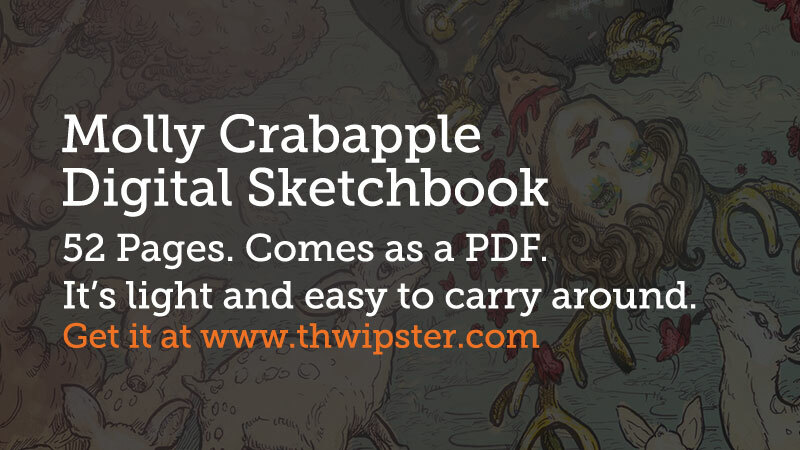 For the next day, Thwipster is selling a 51 page digital sketchbook of my work (including quite a few never before seen evil bits of ink. Click through above to buy it. This entry was posted in Uncategorized on May 25, 2011 by Molly.